She would not be shaken. Mary’s weighty assignment of being mother to the Son of God began with the need for grounded faith … and ended needing the same. If you are joining me here today from my Proverbs 31 Ministries, Encouragement for Today, Building a Confidence that Won’t Fail, welcome! Let’s continue to connect, ok? It’s easy! Just sign up to get my posts automatically by clicking here. 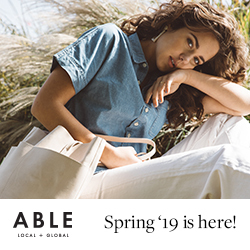 I’d also love to connect with you more on Facebook, Twitter, Instagram, and Pinterest too! Though the callings on our lives are not nearly so considerable as Mary’s, we do need God’s truth to empower us to fulfill His purposes in us. That’s why I’ve got two give aways today. 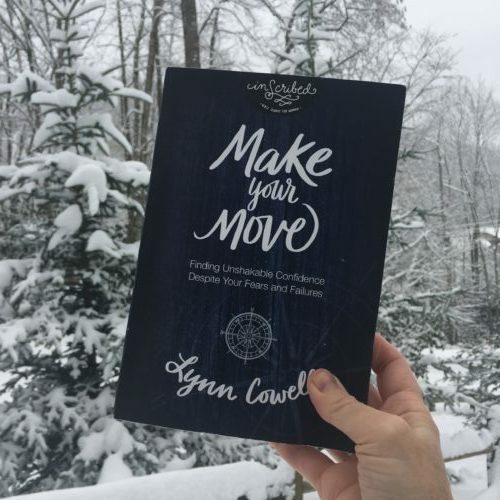 Second, a gift for one blessed reader: a copy of my new Bible study for women: Make Your Move: Finding Unshakable Confidence Despite Your Fears and Failures as well as the DVD teaching. It’s a great way to get your 2018 heading in a forward motion! To enter to win, simply share one person you want to see build Christ confidence in their life in the coming year in the comment section below. If you are reading this post via email, just click here to comment on my blog as well as get your free download. I’ll announce the winner on Christmas Day! Monday, December 25th. « How Did She Do It? I would like to share the power of Christ and build Christ confidence in my @ beautiful gifts from the LORD -my daughters Tristan and Tanner. I would like to comment on the power of God , he just saved me from a stroke; and he is saving from all negativiy behavior, May God continue to bless the effort, God is till able to save , deliver and keep all his promises. Thank you God for your saving power and deliverance. Thank you God for looking beyond my faults and seeing my need. I loved this message that builds me up to be more confident on God! How powerful this trust can be in my life…! I want to share this with my coworker, friend and sister in faith, Klaudia Eva! Thanks for your message that reminds me of God’s Love! I would love to be able to share this with my granddaughter . She is going through some very difficult times right now – divorce, putting school on hold, two very small children & having lost half of her full time job (with no benefits). She needs to gain the confidence that only Christ can give. Thank you. I would love to share this wit my sons girlfriend. She has such faith but has been going through such difficult times lately. It would help us both build our confidence that only the Lord can give us!! 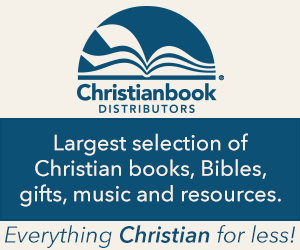 I would love to see my friend Mandy build Christ’s confidence in her dream to write a book. For my daughter who is just newly married with a new job and moved to a new State. My prayer and hope is that she continues to place her confidence is Christ through these changing times. It’s 1:50a.m. and I can’t sleep ! My mind is racing. Fear and anxiety has taken so much of the last 8 years of my life. I opened my email and read your blog. I felt like you were speaking straight to my heart. Last year I had a relative ask on Facebook if anyone had a word for the New Year. Her question sparked my interest, and decided to pray about it. I felt God gave me the word: Courage. Thinking back of everything that has happened in the last year, Courage is Definitely what I needed. This year my word is Confidence. I knew it as soon as I read your email. I have been praying so much to God to please help me get out of this mental and emotional dark hole. What I’ve been lacking is Confidence. I want to be a confident wife and mother. Vevay – thank you so much for sharing so vulnerably here. Courage and confidence go hand and hand. God, through His word and our dependence on the Holy Spirit, builds our confidence in and on Christ. This confidence gives us the courage we need to go forward. I would love to see Him build my friend’s confidence who is occasionally called on to give the message at church, and each time as it approaches she trembles and fears, but He always, always gives her what she needs and she is wonderful in His strength. A young lady I met named Asia. She has so much potential, but her upbringing has made her timid, Her motivation needs to move from survival to reliance on and belief in Jesus. I see a spark of faith developing…we just need to fan the ember. 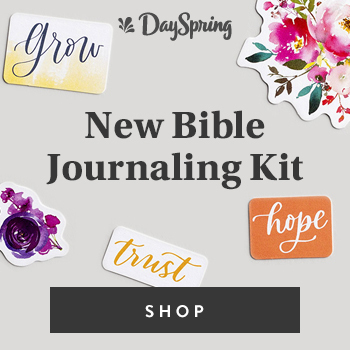 I would love to share this with a friend who is going through a painful divorce, so that she in turn can share her strengthened confidence with her children. My beautiful daughter who comes across strong but inside is struggling with her confidence and fears. I would love to be able to share this with my daughter! She’s in a relationship she’s not sure about, she always seems to need to be in a relationship with someone! So she stays in relationships, so she feels safe. I want her to feel confident and God’s love and know that He will always provide and that He is always with her. I want her to be able to feel confident in Him so she can feel confident and safe in her life. I want to see a young lady that I am mentoring gain confidence so that she will not stay in an abusive relationship for her sake and for her children. I want her to know and believe the love that God has for her and believe He has wonderful plans for her life. Also, my one word for 2018 is CONFIDENCE. ? CONFIDENCE! What a wonderful word for 2018….Confidence in all things – relationships with husband, children, SIL and DIL, grandchildren& friends, at work, at church, my health, my physical well being, etc.. But the most important area would be – Confidence in my relationship with Jesus! Truly believing and trusting in HIM for everything! Here’s to a wonderful 2018 for us all! I would love to share this with a close friend of mine who is always looking for happiness in the wrong places. My son has been through many valleys that have tested his confidence. He has placed his faith in people and things and it has not served him well. He is now faced with another opportunity to choose faith in the Lord and I’m praying that he let the Lord lead him this time. He looks to me for guidance even though he’s an adult and I would like to support him in the best possible way. I need the support this book offers and would be blessed to read it. Thank you! I would love to share this message with my beautiful daughter, Maddy. MIchaelee Nolen is a friend who is new in her faith. It would be a great way for us to study together! I would choose to share this with a teen girl in the youth department at my church whose home life/housing situation seems to change almost daily. She comes to church very faithfully, but I can tell it is taking toll on her. I would like to learn to build my confidence on Him & help my step daughters to do the same. My sister who has lived in an abudive relationship for almost twenty years. As someone that has always struggled with confidence, I would personally benefit from this. But I would also share it with my sister; she is a high school teacher and she is constantly chasing others’ approval and compliments to the point that she is devastated and consumed if she doesn’t receive it. She is in a position to impact hundreds of kids every year and I pray she finds the confidence and fulfillment she so desires from God. Julie – your sister and I have a lot in common. In fact just this month, I not only didn’t receive the “approval and compliments” I was looking for, but criticism instead. 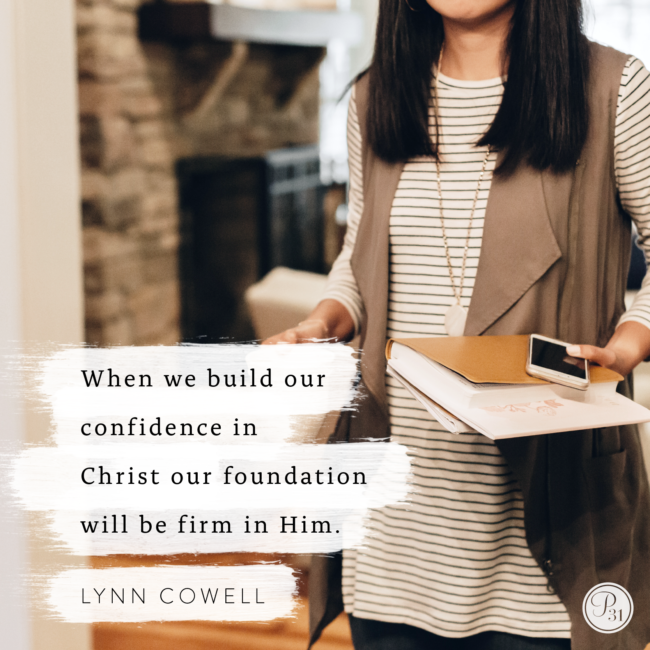 It has been a real test of where exactly my confidence comes from – me and my accomplishments or Christ and what He has done for me. I hope Make Your Move helps her as studying these women in God’s word has empowered me. This would be perfect to share with my two daughters who are learning to be women in Christ. I am praying for confidence for my coworker Linda and her bosses. To let God lead them in the Way, the Truth and Life of Jesus Christ. 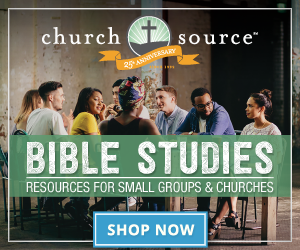 I would love to share this study with several friends from church, but with one friend in particular who, along with myself, left our church to hopefully find another. Due to some upheaval, my family decided we could no longer stay members of the church we had called home for 18 years. My friend and I could really benefit from this right now! Thank you for your wise devotion today! Suzy – I hope that whether you win or not, you and your friend choose to do Make Your Move together, building a Christ confident foundation as you both make a new move in 2018. I would love to learn how to be confident myself so that I can share that with my daughter. I am a 47 year old mom of a 3 year old. My mom passed away in 2013 and on my mom’s first birthday in heaven we got the call I was not expecting so soon. There was a baby that we could maybe adopt. She was born ON MY MOTHER’S BIRTHDAY in the city my dad was born. I know and share that my mom and dad picked her and God delivered her to us. I feel chosen as Mary was with a gift from God, in this beautiful little girl, that I have been blessed to be her mom since she was 28 hours old. I have every ounce of faith that God has something great for her; however, my own weaknesses get in the way of feeling confident that God chose ME to be her mom. Thanks for the opportunity to not only be able to have a chance to win the book, but the chance to lead other women to finding the truths God speaks into us daily. Thank you for hearing God’s calling on this very topic and sharing that with others. God Bless. Ironically God connected you and I today through Proverbs 31 email. I JUST GAVE Brave Beauty to my 12 year old niece for Christmas, and NOT making the connection of the authors name – YOU – until I was filling out the form below and saw the book. I , of course, had to share my revelation and added to my already lengthy comment. Just ANOTHER confirmation, that God is in EVERY detail of EVERY day of our lives!!!! Maria – I LOVE your testimony! God is so good and His timing is always perfect! How wonderful and amazing is our God to not only give you this little girl as your own, but also to confirm in so many ways that He was the orchestrator of it all! I know that as you continue to build your own confidence in Christ, that confidence will be directly reflected in your parenting. Boy, did I need to hear this message today! Thank you, Lynn. 2017 has been a rough year on many fronts which has really shaken me. But looking to God and how he defines me was my saving grace. My fear is being able to keep on track as 2018 looks like it will be a crazy year. Polly – the definition of confidence is: full trust; belief in the powers, trustworthiness, or reliability of a person or thing. No matter what the future looks like, we hold on to Him – fully trusting that He is in control and that He has the power to empower us! Lynn, if you’re wondering if this post resonated with anyone, please know it did with me—very loudly. My husband recently lost his job in a company layoff that affected thousands in our area. We prayed about what to do and the Holy Spirit made it very clear that a move was in our future. God blessed him with a great job that requires us to move 1300 miles away. I am 54 and have lived where we are now all my life. Leaving behind family and friends is stretching my faith and trust in ways it’s never been stretched before. My prayer for confidence in Christ is for my sister Julie. She’s an amazing woman of faith but this move is as hard on her as it is on me. We recently lost our dad after having lost our mom almost 6 years ago. We are both relying on walking with unshakable faith as we literally and figuratively move both to places and new seasons of our lives. Thank you for your inspiring and encouraging words! Gwen – I cannot imagine the emotions you and Julie are processing. It brings us comfort to know that God is directing us and goes before us (Psalm 37:23). Yet, we still have to walk that walk of faith, trust and confidence in Him. So glad your perspective is one of faith and trust! I would love to share this message with my 13 year old daughter Lynn. I pray everyday for her to have confidence in all aspects of her life. I would like the Lord to build Christ confidence with both of my daughters. I want them to know that Jesus is the true Light of the world and how to relax and trust in Him for everything. My friend, Nancy, who needs the confidence to share with her 81 year old father about Christ. Would love to share this blessing with my sixteen year old daughter! I would love to share this with my daughter, Freedom. I would like to share this with my daughter Reegan. I want her to grow in relationship with God so she will have confidence to carry out what God calls her to in her life. I would like to share this blessing with my niece who is searching. Thank you! I would share this with my daughter, Hannah Kitchen. A beautiful, intellegent Bible School student who feels very alone and unsure of herself most days. I, of course, would read it too. As a Pastor’s wife, I have had days of complete and utter defeat. I get overwhelmed with circumstances to the point that I shut down. I often pray that God will help me to get up and move…and when I get out of the way…He does! I would like to see my mother develop more confidence in Christ. She’s finally living her dream as an adoptive parent and the challenges are new, but in Christ she is able to scale a mountain. I want her to know/believe that. I would share this with my daughter-in-law. For my sister in law Marissa who has long suffered from depression and low self esteem and despite this is one of the most amazing women I know. I’d like to share this with my best friends and book study partners: Breanna, Stacia, Bridget, and Jerika. We are all in tremendous period of transition and God is calling us to trust Him in ways that are really challenging us and for which we do not feel prepared. him; only my own actions. If I stay I feel like I am saying his emotional abuse is ok. Please give me confidence to know God has this no matter what. I don’t want a 2nd failed marriage. But I’m torn. I need confidence all around, as a mom too. It’s a big deal for me to not keep this to myself & be public. Everyone thinks I have the perfect life. Thanks for this impromptu opportunity to seek God and confidence. Lisa – you are a very brave and courageous woman. I believe that as you bring this into the light, that the Lord is meeting you even now. I would like to see my husband Chris build his Christ confidence. He is so busy so he doesn’t have much time, but a genuine desire to spend with God. Of course I also want to build my own Christ confidence as I deal with postpartum anxiety after just having my second son in November and caring for his brother who is only 16 months Old, as well as going back to work as a teacher next month! Plus being a humble and Godly wife. Thank you for this devotion today. I needed it as I head into 2018 unsure about the future of my position at my company after being here 20 years. I want to have Confidence in who I am because of WHOSE I am! This post was spot on for me in the season I am going through! I would love to give this to a dear friend, Amy. Oh boy Lord! Thank you that you knew I needed to hear You through Lynn’s devotion!! Thank you Lynn for blessing us all by sharing your experience with us! I love this, this is exactly where I am at in this season of my life! So many uncertainties all around my family and I right now. I always tell the Lord “I trust You”… but I am asking myself today do I? Do you really trust the Lord in all circumstances in your life Denise?? I believe Lord Jesus, help my unbelief!! I need to believe what I believe…He is faithful! I need to trust Him in ALL things! I seriously need to let go and let God! Thank you Lynn for being a faithful sister in Christ and for sharing how God has taught you… and then blessings us with your life experiences with Him. Oppsie daisy , I forgot to say I’d like to see my adult son’s and husband build Christ confidence in each of theirs lives. Such a good word! I have enjoyed reading your posts these last two weeks. The word God gave me for 2018 is fearless. Just the word strikes a little fear in my heart! I have struggled with fear and confidence my whole life. And I feel like God is saying, “No more!” As He works in my life, I want to share/impart confidence in my three daughters, Katie, Emily and Hope. My daughter, Jordan. She is a college senior with a lot of choices and decisions to make. My daughter, Sarah. She will be graduating college and getting married in May/June. Myself we have had some horrible years and it would be a god send to finally receive some long overdue needed encouragement from the Lord! I’d share it with my two boys, teenagers, who are shy and socially handicapped. I want them to understand their worth as children of the Most High God. Thanks for sharing. This post really hit home for me. I would love to share this new study as a family with teenagers to grow closer to God and accountable to one another. I would love to share this with the 4 other women in the small group I lead. I would love that too, Rosemary! There is a DVD teaching that goes with Make Your Move that is perfect for small groups. I would to see my mother, Aganetha, grow in her confidence in God’s sovereignty and will. It would something we could go through together. I would love to share this with my daughters (ages 15 & 11). Both are struggling to find themselves in this big world. Low self-esteem is something that I’ve always struggled with and I do not want them to struggle like I have. I want them to see themselves as Jesus sees them…PERFECT! I would like my daughters, Merritt and Olivia, to build Christ confidence in 2018, as they are entering new stages in their lives. I would like this for myself. This past year has been filled with awful personal events that have made me question so many things. I need to learn to believe in myself again, to accept that no matter how hard things have been, how much hurt I have been through, that God has a much better plan, and I am fearfully and wonderfully made. That is my goal for next year. Additionally, I have 5 daughters that are watching me go through the hardest things and i want them to be able to see a confident mama, in Christ. Thank you. Yes, Jonatha! You are heading in the right direction. Keep pursuing Jesus. He will not disappoint you or let you down! Oh Jean … I don’t even know what to say. There are so many times when we just wonder, “God … do You see me? Why do You allow this pain in my life?” And then, I look back, and I can see His hand and His faithfulness to me. He never leaves us, but is right with us the entire time. You are brave, Jean. The Holy Spirit residing in You will empower you again to trust in Him. First I would be praying for the right words for my dear husband to see his need for Jesus. He is satisfied with his life and how he controls it. I find that we would be more united as we seek the Lord together to find full satisfaction and joy in marriage. I would share with my college-aged daughter and encourage her to take it back to campus in January to use with her prayer group. I would like for my mother, 9yr old daughter, husband, & of course myself to develop an unshakable, unwavering Christ-confidence. My husband & I need to work on creating this would foundation to display to our two daughters I want us to be able to efficiently & effectively teach them & for them to learn, while growing up, that pleasing people & having their approval isn’t what’s important. Striving to please God & receiving His approval is all that matters. I want them to realize & understand that our position, title or social status/class, circumstances & possessions do not define us. I would like to share with Alisha Rouse. My husband, for sure. He is the only one of the five of us who hasn’t turned his life over to Jesus. He is an “intellectual Christian” which means that he believes in GOD and Jesus, he just doesn’t BELIEVE in GOD and Jesus. Everything resides in his head, and not in his heart, if you know what I mean. I want him to have peace and joy, and most of all the forgiveness that he so desperately craves. But, as the saying goes, you can lead the horse to water. You just can’t force him to drink. Wow! So needed this today! Seriously. As far as confidence goes, so many ppl I can think of…my oldest daughter, my mom, my sister-in-law, and myself. Would love to read this! I’m in a small writers group, and I would love to see the women in our group walk in the fullness of who they are in Christ. My husband, Dean. He is blessed with so many skills and talents, but he does not see them. We do Bible Study together – we are so looking forward to starting this one in 2018 – as we are literally making a move cross country to begin a new season of life. God’s timing is always perfect!! I would like to see my daughter build her Christ confidence. My youngest daughter. She struggles daily with low self esteem after her divorce of a year ago. I’m trying to steer her God’s way, but so many cultural barriers. I would like to share with my daughter. I would love to be able to share this confidence with my best friend Tracie and also my daughter. I am almost 40 years old and still struggle with having confidence. In the next year, I’m praying God will be my confidence…I greatly need this message. I would love to do this with my mom! We both kind of struggle with confidence every now and then! I would have to say that I’m the one that needs to build Christ confidence. For my cousin Marilyn who has been through heartbreak due to her dad leaving when she was one. She has always felt she’s not worth it. I would love to share this with my Young Mom’s Bible Study Group that I lead. I would love for these young Mom’s to put their confidence in Christ and not elsewhere. I would love to win this. Can I list 2 people? My daughters! I wish I would have had this resource when I was a teen, so I would love to share it with them now! My 21 yr old daughter who just got engaged to a non-believer and she is questioning if she even believes in God anymore. My heart is shattered. Then, I pick up the pieces because I know God has her. The hard part is this happens several times a day. My word for 2018 was going to be trust, but confidence seems to take trust to the next level, so I will chose confidence! God has a plan for her! God is faithful and He has constantly been at my side. My prayer is that I will continue to build Christ confidence to trust Him even more for 2018 and beyond.